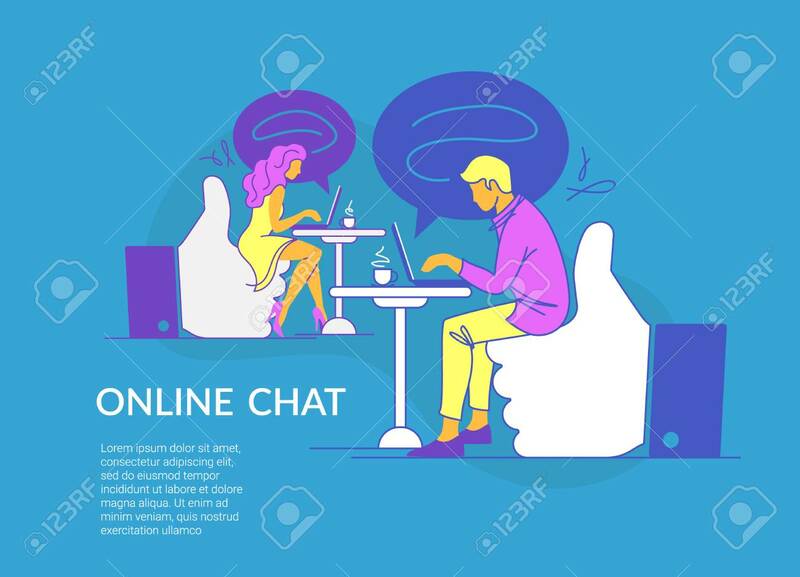 Online Chat Concept Vector Illustration Of Young Couple Sitting On Thumbs Up Symbols And Using Laptop Messenger. Modern Line Design Of Guy And Girl Typing Messages In Social Media And Dating Service Lizenzfrei Nutzbare Vektorgrafiken, Clip Arts, Illustrationen. Image 110270283.